This former head of US Army Intelligence masterminded the army’s psychic warfare program back in the early 1980’s. 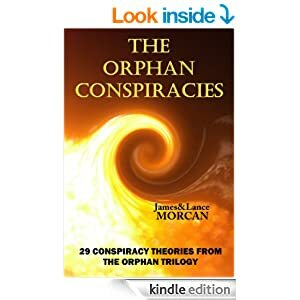 He features in our book THE ORPHAN CONSPIRACIES: 29 Conspiracy Theories from The Orphan Trilogy because he’s one of the more colorful characters we came across when researching the existence or otherwise of Manuchurian Candidates, or mind-controled assassins if you will. One of the more colorful characters circulating rumors of hypnotized assassins is former head of US Army Intelligence, Major General Albert Stubblebine III… Yes, the same Stubblebine the Third who famously tried to create a soldier who could levitate and walk through walls, and who – on the record – said he believed American soldiers could win all wars if they could walk through walls! Army program makes it to the big screen. In case you still doubt Stubblebine’s credentials to speak on this subject, he’s the officer that the central character of the 2009 feature film The Men Who Stare at Goats, is based on. Is there a higher accolade than that? Still not convinced? Well, the central character was played by none other than George Clooney. Happy now? According to Stubblebine, that story had its origins in his office when he was asked to develop the minds of people so that if they stared at a goat long enough its heart would explode. What’s more, he claims he has seen evidence that such a thing is possible, and he says he’s positive that the creation of Manchurian Candidates continues in America today. We are not sure how seriously Albert Stubblebine III should be taken. Our first impressions are that he’s one sandwich short of a picnic. Perhaps the Encyclopedia of American Loons should have the last say on Stubblebine. In a blog post dated January 13, 2013, the encyclopedia claims: “He is currently heartily insane, but seems to have been batshit crazy even before he tried to walk through walls”. In a final diagnosis, the post ends: “I guess one could make an argument that the world needs hapless, elderly men called ‘Albert Stubblebine’ who are constantly befuddled by their failure to walk through solid walls”. Then again, Stubblebine achieved the esteemed military rank of Major General and was the head of US Army Intelligence for many years. Those things don’t normally happen to loons. Perhaps the last word on mind control and Manchurian Candidates should go to Jesse Ventura, former Governor of Minnesota who is probably America’s – and possibly the world’s – best known conspiracy theorist. The Governor fronts Sleeper Assassins, a 2010 episode of the popular US television series Conspiracy Theory with Jesse Ventura. Governor Ventura…believes in existence of Manchurian Candidates. The episode starts with Governor Ventura telling viewers he has uncovered a Government plot to turn ordinary citizens into programmed killers. We explore this concept in detail in THE ORPHAN CONSPIRACIES – and uncover some interesting theories (some would say facts) relating to real-life Manchurian Candidates in the employ of government agencies. Not all is what it seems! 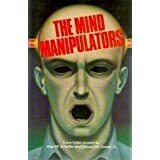 In the course of conducting research for our conspiracy thriller series The Orphan Trilogy we uncovered the little known history of mind control. And it’s something of a long, spooky rabbit hole to say the least. After reading and analyzing court cases, doctors’ reports and declassified documents, we became aware of the often disastrous impact mind control programs have had on the lives of innocent civilians over the decades – in North America in particular. The most documented government mind control program worldwide is Project MK-Ultra. This human research operation in behavioral engineering began in the early 1950’s and was run through the CIA’s Scientific Intelligence Division. It continued for a quarter of a century, and it used American and Canadian citizens as its test subjects, usually without their knowledge or consent. Doctor Sidney Gottlieb was in charge of MK-Ultra from its inception until the mid-1960’s. By all accounts a callous and eccentric individual, Gottlieb was the inspiration for Peter Sellers’ title role in Stanley Kubrick’s 1964 black comedy Dr. Strangelove. Many researchers have deduced that the CIA’s goal was to create real-life Manchurian Candidates. We’d have to agree, although there are probably wider applications of effective mind control than producing programmed assassins. As a result of the United States’ Freedom of Information Act, tens of thousands of government documents relating to Project MK-Ultra have been obtained by independent researchers. Other documents regarding MK-Ultra have also been officially declassified. The project finally came to the American public’s attention in 1975 when it was discussed in the US Congress. Seemingly following the same mind control protocols laid down by the Nazis, the CIA selected people from the most vulnerable sectors of American society to experiment on – orphans, the mentally ill, prisoners, the poor, the handicapped. Basically those who didn’t have a voice or the wherewithal to seek help. 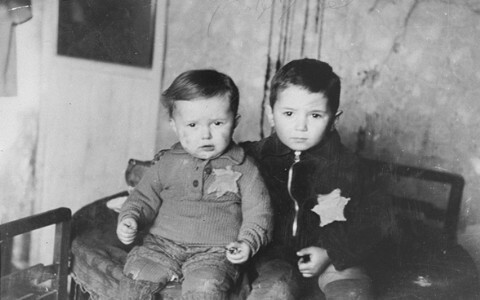 Two young victims of the Nazi era. CIA doctors involved in MK-Ultra experiments incorporated various methods to manipulate people’s brains and alter their mental states. These included disruptive electromagnetic signals, sensory deprivation, hypnosis, electroshock, sexual abuse and drugs, especially LSD. Equally disturbing, the list of infamous people connected to, or rumored to be associated with, MK-Ultra almost reads like a who’s who of the worst American criminals in the 20th Century. Lawrence Teeter, the lawyer representing Robert F. Kennedy’s assassin, Sirhan Sirhan, proposed that his client was an MK-Ultra victim. Teeter stated Sirhan displayed all the signs of being hypnotized before and after RFK’s assassination. Enough evidence exists to conclude that Theodore Kaczynski, otherwise known as the Unabomber, participated in MK-Ultra experiments conducted at Harvard University from 1959 to 1962. Although these Harvard experiments appeared relatively benign, they were surreptitiously sponsored by the CIA and that seems tantamount to a smoking gun. Oklahoma City bomber Timothy McVeigh – a decorated Gulf War veteran – claimed to have been implanted with some kind of microchip while serving in the US Army. He also claimed he was yet another victim of MK-Ultra’s vast web. 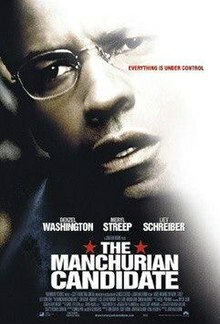 Interestingly, the US Army Major and mind control victim that Denzel Washington played in the 2004 remake of The Manchurian Candidate also had a microchip implanted in his body. Perhaps in a case of art imitating life, Washington’s character was also a decorated Gulf War veteran who served in Operation Desert Storm, just as McVeigh did. Denzel Washington in ‘The Manchurian Candidate’. The 1978 Jonestown massacre in the jungles of Guyana is considered by various independent investigators to have been a large scale MK-Ultra experiment. Until 9/11, the Jonestown tragedy had the dubious distinction of being the greatest loss of American civilian lives in one single act. (See more on Jonestown in chapter 10). 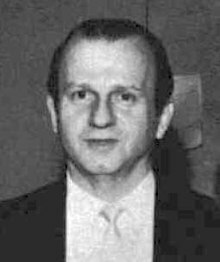 There are also possible MK-Ultra links to Ronald Reagan’s would-be assassin John Hinkley, Jr., as well as John Lennon’s killer Mark David Chapman. Suspiciously, a copy of The Catcher in the Rye was found on both men upon their arrest – suspicious as J.D. Salinger’s classic novel is said by many to be a mind control trigger device for MK-Ultra victims. (See chapter 27 for more on The Catcher in the Rye). However, repeated rumors suggest the MK-Ultra program continues – probably under another codename and perhaps as a Black Op rather than a government-sanctioned project. For example, some say mind control technologies were employed during the First Gulf War on Saddam Hussein’s million-strong Iraq army. This theory suggests the US army unleashed a type of advanced mind interference weapon so that Iraqi soldiers would lose their sanity and therefore surrender without much resistance or bloodshed. Although the Iraq army did surrender relatively quickly and there were reports of unusual goings on, it must be noted this Gulf War theory is not remotely proven and remains mere speculation. Iraqi POW’s in the Gulf War…Insane? At the civilian level, more MK-Ultra victims continue to come forward. In 1995, there were new US congressional hearings on MK-Ultra, which included statements made by mind control victims and the therapists who treated them. In 1959, Richard Condon’s classic psychological thriller The Manchurian Candidate was published. The book’s plot revolves around the son of a leading American political family being brainwashed into becoming a communist assassin without his knowledge or consent. Ever since then, the title has become a catch-phrase amongst conspiracy theorists who swear they’ve got evidence to prove governments around the world have such mind-controlled assassins at their disposal. 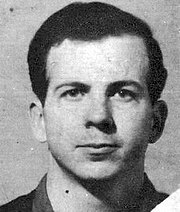 They often list the likes of Lee Harvey Oswald, Sirhan Sirhan, Jack Ruby, Mark David Chapman and James Earl Ray as being likely Manchurian Candidates; and they point out that nearly all these men, as well as numerous other infamous lone gunmen, claimed after being captured that they were patsies who were being mind-controlled. Oswald and Ruby…suspected Manchurian Canadidates. However, the reality is programmed killers only exist in the realms of fictional stories and in the warped minds of those wearing tinfoil hats. There is no hard evidence to confirm the existence of Manchurian Candidates. At least that’s what the authorities would have us believe. In books one and two of our international thriller series The Orphan Trilogy we describe how the clandestine Omega Agency creates the most advanced intelligence operatives and assassins – super spies if you like. Twenty-three genetically engineered orphans are nurtured from childhood, through their teenage years and into early adulthood with one end goal in mind: to turn them into the ultimate spies. The methods used range from providing advanced training in everything from speed reading, math and science to languages, martial arts and military strategies to isolation tank, biofeedback and virtual reality sessions. So by the time our orphans reach their early teens, they’re already faster, stronger and more resilient, learned and intelligent than most adults. Not content to rely on their charges’ natural ability in the field – on assignment that is – their Omegan masters program them using mind control technologies so the orphans, or orphan-operatives, can effectively be remote-controlled. Any who try to flee Omega can quickly be reined in courtesy of a microchip implant embedded in the forearm of each; the microchip emits an electronic signal, allowing the orphans’ masters to see their whereabouts at any time no matter where in the world they are. The plot to our series could accurately be described as being very far-fetched, were it not for one thing: the officially acknowledged, real-life MK-Ultra program. Project MK-Ultra…using citizens as its test subjects. To recap, Project MK-Ultra, the most documented government mind control program uncovered yet, began in the early 1950’s, using unwitting American and Canadian citizens as its test subjects. We know this as a result of the many thousands of US Government documents that have been publicly accessed courtesy of the Freedom of Information Act, and the release of other formerly classified documents relating to MK-Ultra. These revelations generated considerable publicity, debate, research – both official and unofficial – and a number of feature films, documentaries and television series. Then there are the rumored Manchurian Candidates said to have been brainwashed by US Military factions, with heavy CIA involvement, to carry out assassinations or other such acts for those who have programmed them. Incidentally, the best description we’ve found of a Manchurian Candidate is someone with an artificially created multiple personality; that personality has various identities; if one identity performs an act and gets caught, another identity takes over and the original identity has no recollection of the act he (seems it’s always a man) committed, so the information remains hidden from interrogators. Mind control expert and award-winning author Dr. Alan Scheflin has for years claimed that, thanks to the CIA, MK-Ultra is still alive and well in America and that declassified documents show the CIA is creating a new kind of weapon. Scheflin, whose books include The Mind Manipulators, leaves little doubt the weapon he refers to is a Manchurian Candidate and, he says, such people aren’t responsible for their actions because they’re being controlled. Scheflin’s assertions are confirmed by renowned psychiatrist Dr. Colin A. Ross, president and founder of the Colin A. Ross Institute for Psychological Trauma, who says he used the Freedom of Information Act to source US Government documents that show the CIA and different branches of the military continue to be active in the mind control business. This revelation contradicts the US Government’s official statements which say there have been no further mind control programs since MK-Ultra was shut down in 1973. Dr. Ross likens the selection of Manchurian Candidates to the selection process for the military’s documented radiation and germ warfare experiments that were conducted on soldiers who were always unaware of the dangers involved. He says the declassified documents he has sourced on mind control experiments reveal volunteers received huge amounts of electric shocks, which permanently wiped out their memories. Assassins experiencing amnesia is a subject that’s been explored in various bestselling novels and blockbuster movies, including Robert Ludlum’s Bourne novels and subsequent film adaptations. In the 2007 feature film The Bourne Ultimatum, which stars Matt Damon and was directed by Paul Greengrass, a surprise twist delivered via flashbacks in the film’s third act reveals that Jason Bourne had actually volunteered to become an assassin. These flashbacks show Bourne has had his identity fractured and his memories erased after having been put through a series of trauma-based psychological trials that eventually broke down his original personality. The Bourne Ultimatum starring Matt Damon as a mind-controlled assassin. Such works of fiction are clearly inspired by conspiracy theories which insist this is how mind-controlled assassins are created. Numerous sources – some reliable, some not – report that Manchurian Candidates are subjected to receiving large amounts of LSD and other drugs,isolation, interrogation, hypnotism, and food and sleep deprivation as well as electric shocks. It seems trauma-based torture is used to program inductees and to promote the development of alternate psyches, or personalities, which would enable them to function normally and then to kill on command but have no recollection of their actions. This fracturing of the psyche is said to be conducive to creating the phenomenon that has been termed sleeper assassins. According to such theories, the first psychiatrists employed to master mind control studied mental patients who had been diagnosed with Multiple Personality Disorder, which medical science has since renamed Dissociative Identity Disorder. Many of those psychiatrists are said to have been Paperclip Nazi doctors who were brought to the US after conducting radical psychiatric experiments on patients during the Holocaust – the same doctors whose victims not only included Jews, Gyspies, political agitators and homosexuals, but also the mentally ill.
One of the more colorful characters circulating rumors of hypnotized assassins is former head of US Army Intelligence, Major General Albert Stubblebine III, who masterminded the army’s psychic warfare program back in the early 1980’s. Yes, the same Stubblebine the Third who famously tried to create a soldier who could levitate and walk through walls, and who – on the record – said he believed American soldiers could win all wars if they could walk through walls! “The victim of mind-manipulation does not know that he is a victim.” –Aldous Huxley, excerpt from his 1958 non-fiction book Brave New World Revisited. On December 2, 2010, Russia Today ran an article headed CIA creating real life Manchurian Candidates? The news outlet’s report details the statements of a group of US military veterans who claimed their government had created sleeper assassins long ago. Decades ago in fact. The vets were quoted as saying that from 1950 until 1975 experimentson themselves and other US soldiers were conducted at the Army’s Edgewood Arsenal in Maryland where “the government messed with their minds, implanted microchips and electrodes” during “mind control experiments”. “They are alleging,” the article continues,“top secret CIA, military and even university scientists experimented on them with the purpose of implanting remote control devices in their brains to eventually turn them into robot-like assassins”. Documents, which according to the article include declassified research papers from the Office of Naval Research as well as results of experiments conducted atHarvard and Yale, show how hypnosis and electro-implant experiments were first conducted on animals. This involved inserting electrodes into the brains of dolphins, cats and dogs. By all accounts, the tests were a success in that the scientists conducting them were able to control the actions of the laboratory animals via remote transmitters. The next stage of testing was on humans – volunteers who apparently weren’t clear about what they were letting themselves in for – and proved equally successful. The individuals were mind controlled via the electrode brain implants and carried out a range of actions that signals beamed to their brains instructed them to do. In what’s likely to be a case of art imitating life, the electrode implantsused, on the record, by the US Government for brainwashing soldiers echoes the 2004 remake of The Manchurian Candidate starring Denzel Washington and Liev Schreiber. In that film, Schreiber’s character has electrodes implanted in his brain by neuroscientists. Movie a likely case of art imitating life. According to our research, it’s very probable sleeper assassins are in existence all over the world today, quietly carrying out hits for the global elite. Given mind control has been a documented fact for well over half a century, the powers that be must surely now have all the science needed to create as many brainwashed assassins as they require. Besides the psychological manipulation said to be needed to create programmed killers, the human body must also be enhanced. Manchurian Candidates would be of no use to intelligences agencies if they were not physically capable of carrying out complex assassinations. It is one thing to have a malleable brain, but quite another to have the body and physical skills of a killing machine. Common claims to emerge regarding the physical training inductees receive in these black op programs include harsh trials of strength, martial arts and weapons training, feats of endurance and wilderness survival tests, and even flying various aircraft. The result is super soldiers who are trained to extremely advanced levels in numerous disciplines – much like our fictitious orphan polymaths in The Orphan Trilogy. 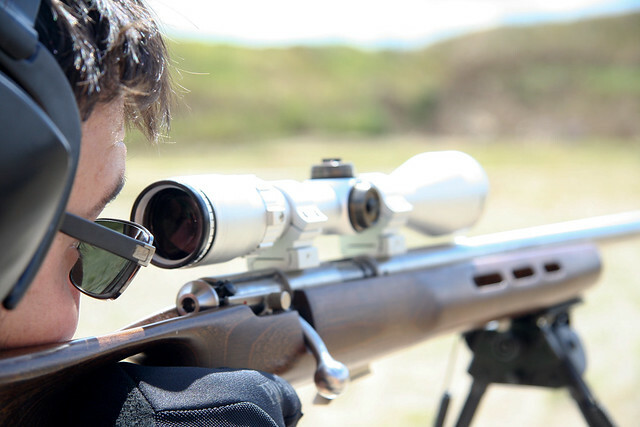 Beyond physical training, forcibly altering and enhancing assassins’ bodies would be another likely way to create the ultimate killing machines. This could be achieved by genetic engineering ensuring none of the usual genetic imperfections would exist in the Manchurian Candidates’ bodies. Administering advanced substances – of the chemical variety or otherwise – could also be a way to manufacture such individuals. Steroids would be the obvious one, but that’s probably too simplistic an approach for designing elite assassins. The 2012 film The Bourne Legacy, which stars Jeremy Renner and Rachel Weisz and was directed by Tony Gilroy, shows the CIA improving their operatives by altering their DNA with top-secret drugs. In the film, Weisz plays a CIA chemist employed to create the drugs that make Renner’s character and other operatives superior to average humans, not only intellectually, but also physically. The Bourne Legacy starring Jeremy Renner shows CIA’s (rumored) use of drugs. We explore a similar theme in The Orphan Trilogy by showing the orphans regularly ingesting the mysterious Ormus aka White Gold. Unlike the substance given to the spies in The Bourne Legacy, Ormus is not a manufactured laboratory drug but a naturally occurring substance that exists in the real world. It allows the orphans to run as fast and fight as well as any adult. For all anyone knows, Ormus may actually be one of the substances being used by the world’s elite assassins. Perhaps the most high profile investigation into MK-Ultra and mind controlled operatives has been conducted by Jesse Ventura, former Governor of Minnesota, who is probably America’s – and possibly the world’s – best known conspiracy theorist. Governor Jesse Ventura…presents a compelling case. The Governor fronts Sleeper Assassins, a 2010 episode of the popular US television series Conspiracy Theory with Jesse Ventura. In the episode, he and his team of investigators present a fairly compelling case that Manchurian Candidates in the form of programmed killers do exist in present-day America. Ventura, who by dearth of his political status had – and to an extent still has – access to official documents, facilities and personnel at the highest levels, informs his audience the US military has been experimenting with mind control since the 1950’s. Jesse Ventura – Sleeper Assassins starts with Ventura telling viewers he hasuncovered a Government plot to turn ordinary citizens into programmed killers. The most intriguing point of the episode is when Ventura interviews whistleblower Robert Duncan O’Finioan, a self-professed former Manchurian Candidate who candidly reveals the methods used to take over his mind and reveals the types of missions he undertook whilst under the influence of mind control. Former Manchurian Candidate Robert Duncan O’Finioan. O’Finioan, who is said to have unusual body strength, martial arts talents and alter egos that can be triggered, also claims he and others like him were “taken” and “genetically enhanced with implants” and “turned into something more than a normal human being” – so they almost literally became fighting machines. Governor Ventura (right) interviews O’Finioan for his TV series. O’Finioan appears to be the go-to guy for any conspiracy theorist wanting to add credibility to his or her theory on Manchurian Candidates. He shows up on numerous websites and, it appears, he was and maybe still is the subject of at least one planned book and film. An item dated January 2007 on the popular ProjectCamelot.org site catalogues an interesting interview conducted with O’Finioan and his friend Dave Corso who, the writer claims, “are both part of Project Talent, an unacknowledged MK-ULTRA military program”. “Controller and soldier? … Their relationship is unclear. But somewhere in the murky waters of the past, two men, from vastly different backgrounds, have come together as friends only to discover that what brings them together may be far more mysterious and sinister than either is prepared to remember”. Since that interview, O’Finioan is on the record as saying an MRI scan he had following a car accident caused acranial implant to malfunction, removing barriers in his mind that had previously kept memories hidden. He claims those memories leave no doubt that he was a killing machine used for termination assignments and that he was also a victim of MK-Ultra. O’Finioan’s own blog site at duncanofinian.com makes for an interesting read also. In an entry dated January 21, 2014, the man himself posts an open letter from “the survivors of Project Talent” addressed to, among others, President Obama, the US Senate, Congress, the UN and several other organizations. He encourages subscribers to distribute the letter far and wide. The same blog site features an August 2013 OffPlanet Radio interview with one John Stormm, another self-professed survivor of Project Talent and fellow victim of MK-Ultra. He claims he was one of the first batches of infants to be inducted into the MK Ultra program. Storm claims that in the late 1960’s he was trained and used as a remote viewer in an MK Talent portion of the program, and by 1970, had taken on some of his first combat roles. Getting back to Governor Jesse Ventura and that Conspiracy Theory TV episode, before his director can shout Cut! It’s a wrap! Ventura informs viewers he’s convinced there are more programmed killers out there. “Let’s just hope their sites are aimed at the enemy,” he says. Let’s hope he’s right about that!